RAPAPORT... Sales were strong at Firestone Diamonds in the fourth fiscal quarter amid robust demand for larger rough stones, the miner reported Monday. Proceeds from rough sales totaled $18.6 million during the period ending June 30, versus $17.6 million in the previous three months, Firestone said. The company did not provide a year-on-year comparison as its Liqhobong mine in Lesotho only reached its intended production level last July. The miner recovered more of those ordinary goods during the fourth fiscal quarter, and fewer special stones, it noted. 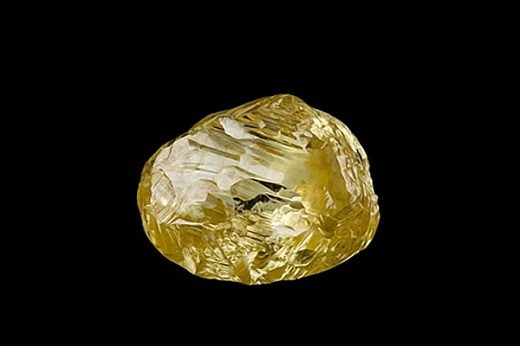 As a result, the average price dropped to $71 per carat from $81 per carat in the previous quarter. Rough producers are managing industry-wide inventory well by restricting supply of goods, the miner added. The company expects a quieter period until the end of August due to the summer vacation, and is optimistic for sales during the rest of the year, it said. Firestone’s production rose 37% quarter on quarter to 263,512 carats, helped by higher grades and processing rates, as well as fair weather conditions during Lesotho’s early winter months. The company unearthed 835,832 carats of rough for the fiscal year ending June 30, achieving its forecast of 800,000 to 850,000 carats. During the quarter, Firestone concluded the restructuring of its $82.4 million debt facility with South African bank ABSA. The company is pursuing a new mine plan after achieving disappointing rough-diamond selling prices last year.